Unfortunately, the blog world has been taken over by females so most of these gift guides are written by females, which is still fine! But of course I'd want to hear it from a guy's perspective. I managed to find two sites that included gifts for gamers (because I'm so surprised none of these girls seem to have gamer (boy)friend(s) in their life!). If you know of any male bloggers with gift guides for men (or if you are one & have one) please leave a comment with a link below! Anyway, skim through the different categories and I hope you find something useful! Let me know if you do end up buying any of these items or use any of these gift guides for your own gift giving! An Old Story - MAKE, THRIFT, BUY! I featured these in my last gift guide for girls, but Hannah features some great stuff to make for anyone in your life, really. This gift guide is perfect if you are on a budget! Royally Pink - Many of these ideas are pretty minimalist, so if that sounds like the man you're shopping for, then this is for you! Flawlessly Flawed - This guide truly does have a variety of living and clothing accessories for the men in your life. From mugs to a gin kit to some Nikes to some boxers, I like the variety this guide gives. Michelle's Paige - Michelle features different types of hip-looking clothing, shoes, and accessories for men. From My Vanity - Whether or not your man likes to cook/grill or run, there are a ton of really cool tech-y gifts & gadgets for men who love the latest in technology. 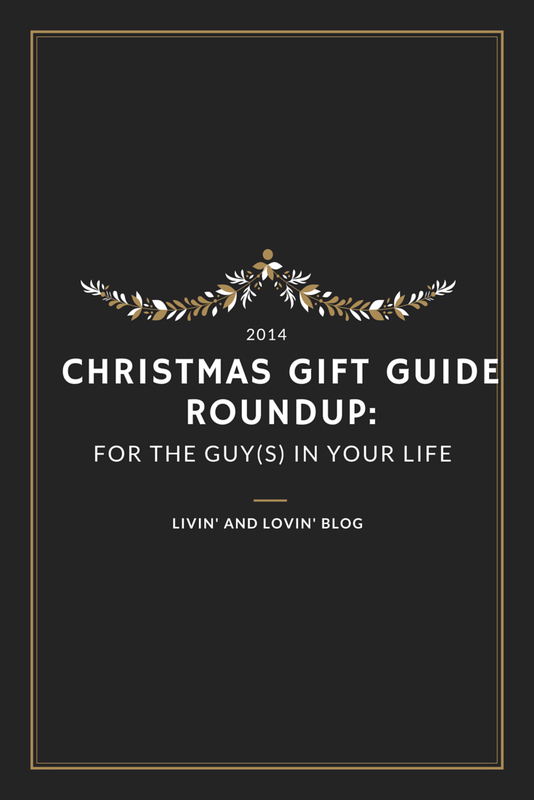 Alicia Tenise - Like her last gift guide, this one for men is so classy and chic. Includes things like: a beard care kit, a cocktail maker kit, a flask, a bowtie, and some classy-looking headphones. Ali Rose - Also definitely for the classy and more mature man (although she includes a cool Spiderman ornament!) This list features items like: Whiskey Stones, some crystal beer glasses from Tiffany's, and a skin care kit from The Art of Shaving. Man of Many - Specifically features games & gamer accessories. Darell definitely owns some of the stuff on this list already! So that's it for my gift guide for the guys! These gifts can be used for any man in your life, whether a boyfriend, a close friend, or a male family member. If you or anyone you know (preferably a male blogger, but if you're a girl that's okay too) has a gift guide for gamers specifically or other ones for men, link to them below! If you missed my gift guide for girls, check here. Stay tuned for my gift guide for your Secret Santas/White Elephants! Thanks for including us, love! No problem! I loved your stuff! No, thank YOU for sharing your gift guide! All my gift guides were by women and gamers were not included, so finding your blog was perfect!